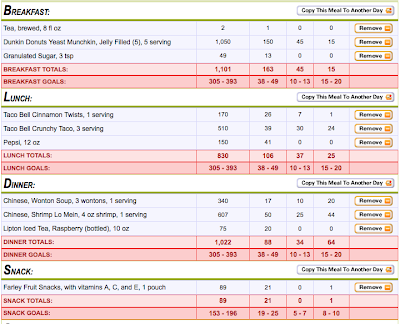 And it's not even that much, I slacked on my snacking usually I snack way MORE! 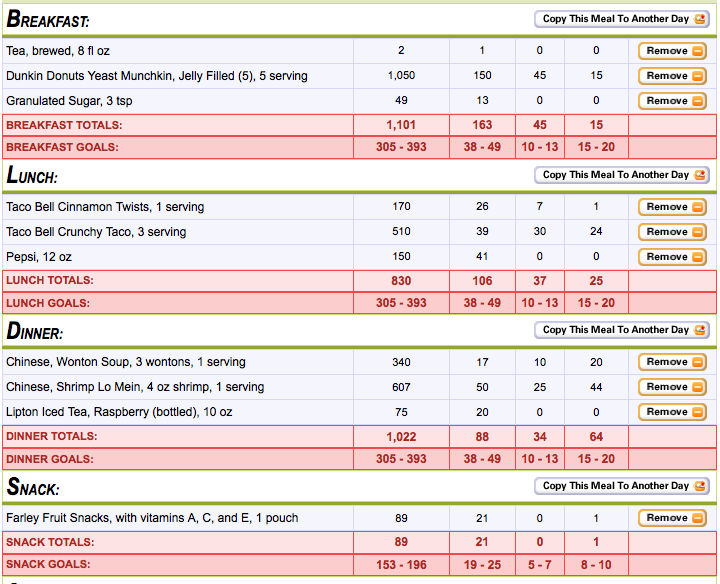 Except for the munchkins, this actually doesn't seem like that much food... I mean who eats three kinds of fast food in one day? But really, this scares me... I think Abe might be eating this amount of cals per day too. sigh. I know right, the easiest way to get that many calories in the least amount of food is fast food! Eating my own cooking doesn't even get me close!